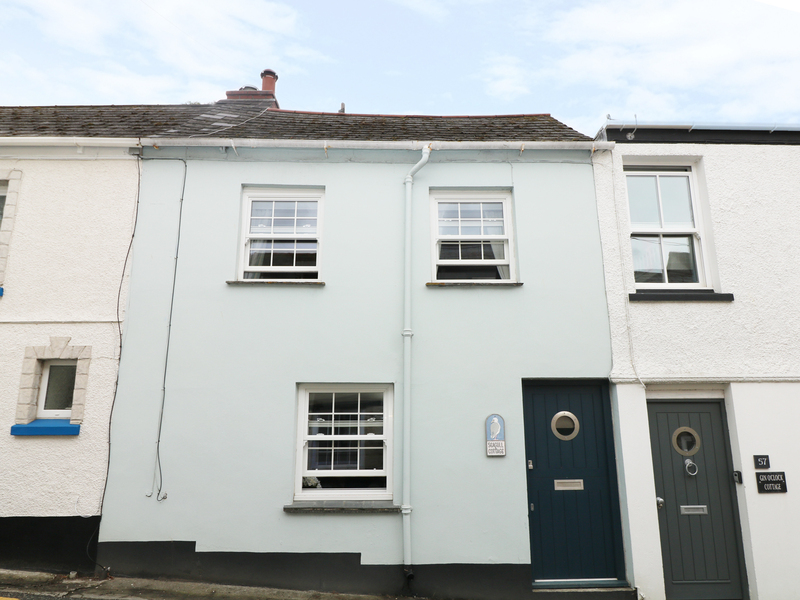 Shell Cottage is a delightful mid-terraced cottage situated in the village of Mevagissey, Cornwall. Hosting two bedrooms; a king-size, and a twin, along with a bathroom, this property can sleep up to four people. Inside you will also find a kitchen, and a lounge/diner with woodburning stove. To the outside rests a private roof garden with timber decked flooring. Located in a charming setting, with a characterful interior, Shell Cottage is a wonderful holiday choice in an admirable part of England. Electric central heating with woodburner. Electric oven and hob, microwave, fridge/freezer, TV with Freeview, WiFi, selection of books, games and DVDs. Fuel, power and starter pack for fire inc. in rent. Bed linen and towels inc. in rent. Stairgate, travel cot and highchair. Private roof garden with timber decked flooring. Sorry, no pets and no smoking. Shop and pub 2 mins walk.